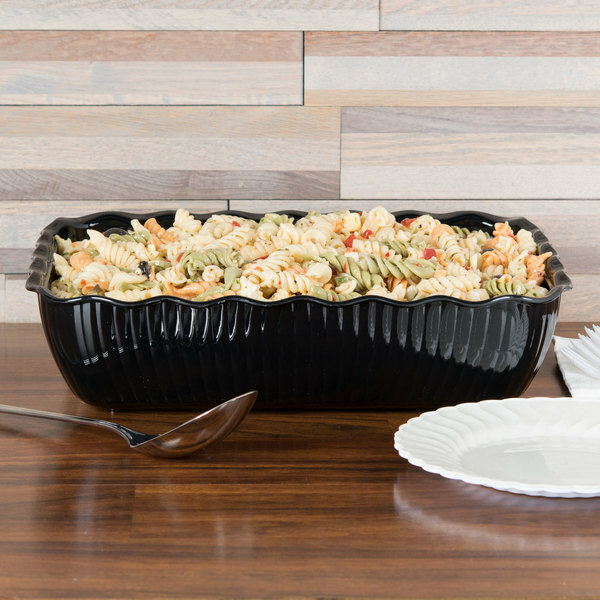 Serve cheeses, fruits, pasta salads, and other foods in style with this black 10 lb. tulip deli crock! 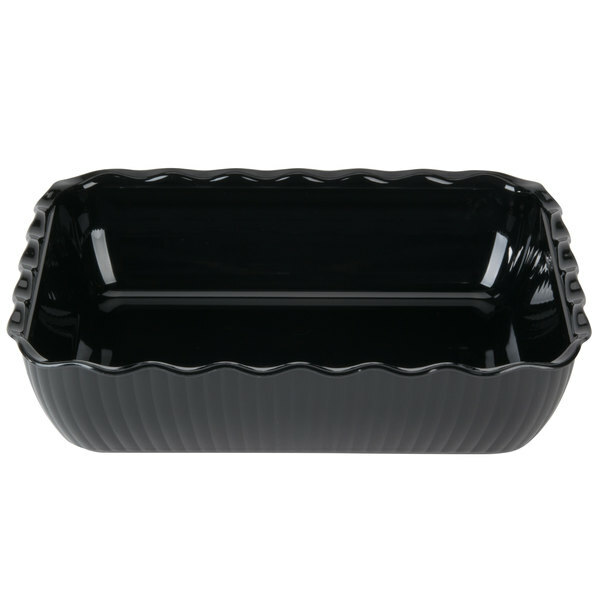 This deli crock has an elegant swirl pattern, wavy rim, and high gloss finish. 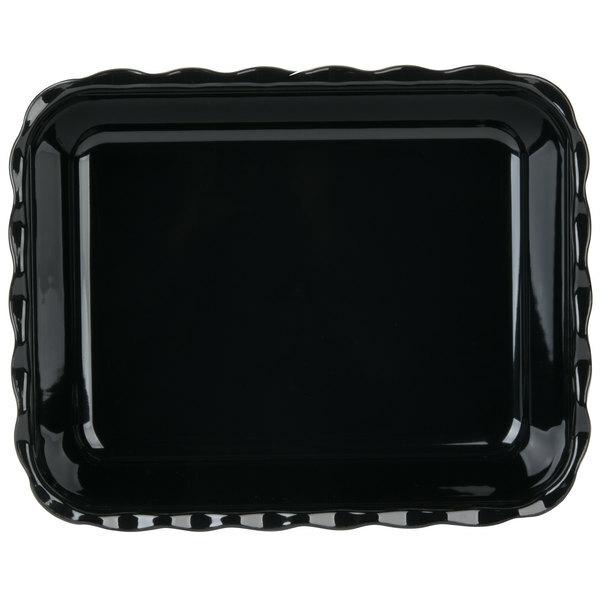 It's perfect for enhancing the appearance of your food presentation at your supermarket, deli, buffet, or catered event. Using this deli crock, you'll be able to prepare, serve, and store up to 10 lb. of food in the same versatile container. Since it's safe for use in temperatures from 0-180 degrees Fahrenheit, it can be used for hot and cold foods. Made of durable SAN material, it is great for frequent use and is resistant to food acids and oils. This attractive tulip deli crock is dishwasher safe for easy cleaning. Add a clear crock cover (sold separately) to stack, store, and help transport multiple crocks. This makes a beautiful presentation, cleans out very well in dishwasher, stacks easily in the refrigerator. Be aware the sides on the 10-lb size are somewhat low - it's not a 'deep dish.' Warm food will cool down quickly. Love these serving crocks. Wish there was more than just two sizes in this line. Love the appearance, and they are made of heavy plastic. Perfect for displaying fresh dishes they are a nice and clean very big easy to fill overall I am very happy with this product will buy again. Great item for display! Used in a variety of salads for sale purchases. 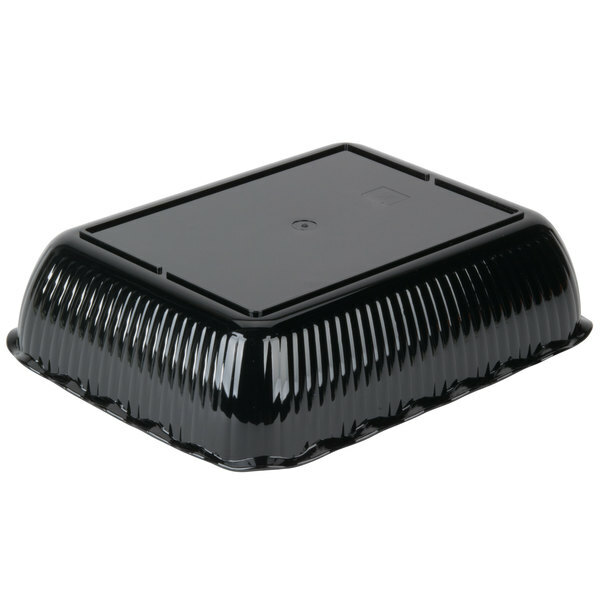 Used with lids container stacks easily and is attractive in deli case. 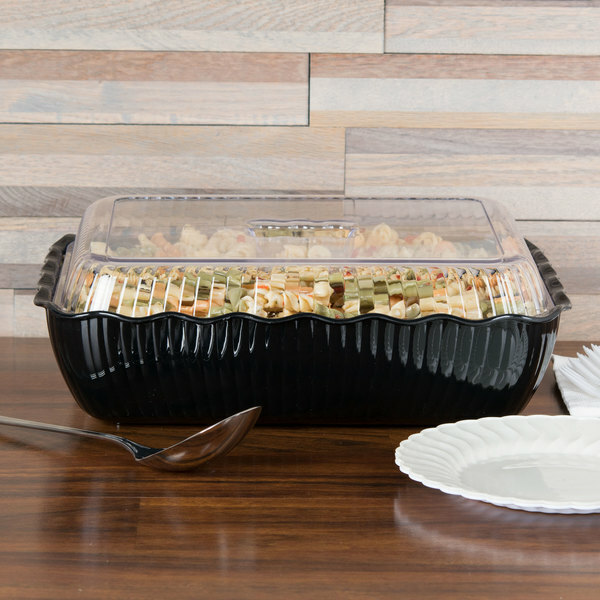 These deli crock bowls are absolutely perfect! They seem as thought they are thicker than they appear and and quality is amazing! Will deffinaltey be buying more! I really like this tulip style crock. I can put just about anything in it. It really shows off while salads like potato or seafood! Good durable material.